I went to the Philippines for 10 days at the end of November to participate in several events hosted by APMM. 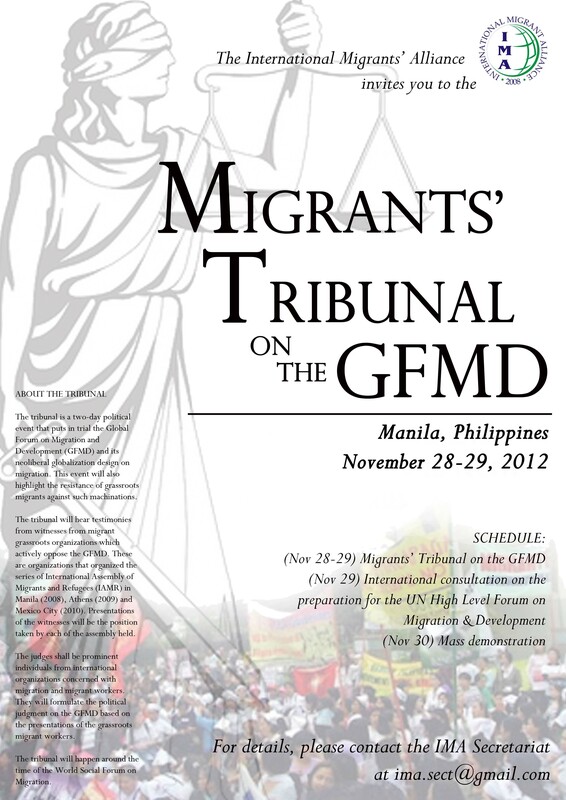 I have spent the past two months working on one of the events, the International Migrants’ Tribunal. My december newsletter will feature these events, but here is list of the events that I attended. Monday and Tuesday 11/26-11/27: World Social Forum. This event was not organized by APMM, but APMM held a workshop on the crisis of forced migration within the forum. Here are two video links from the Human Rights conference and International Migrants Tribunal. Check them out! December 5, 2012 in Social Justice Issues.